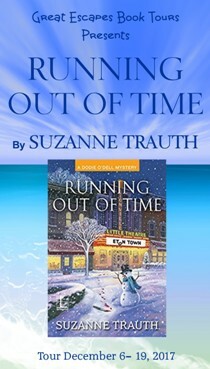 I am pleased to have author Suzanne Trauth of Woodland Park, New Jersey, here to speak about her writing and book, Running Out of Time, which is on blog tour with Escape with Dollycas Into a Good Book. Welcome, Susan. Please tell us how long you’ve been published and what titles and/or series you’ve been published with and if you have any self-published titles? 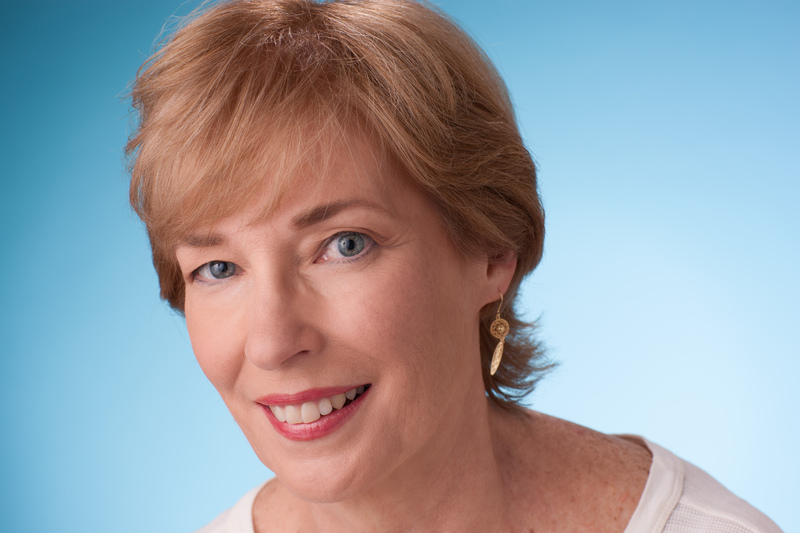 I spent a long career in academic theatre – nonfiction – before I began writing my mystery series so my first books (an acting text and play anthology) were published in the decade before I published my fiction. 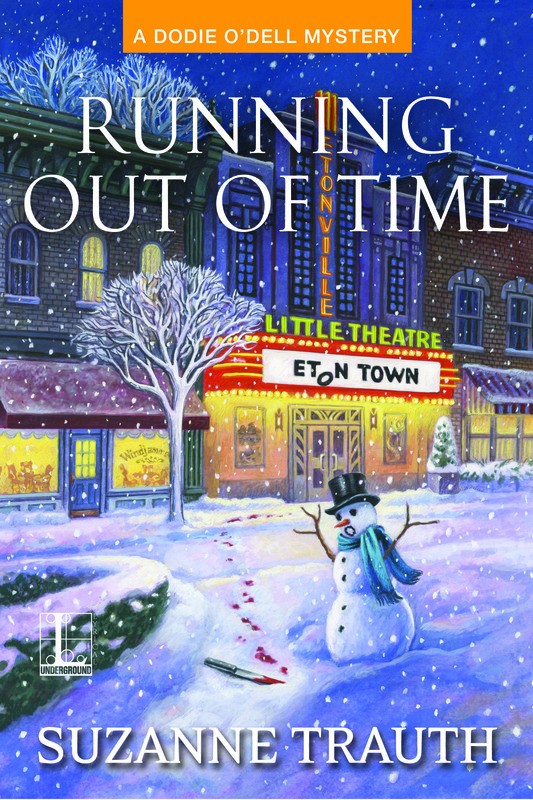 My Dodie O’Dell mystery series published by Kensington Publishing consists of three books now – SHOW TIME (2016); TIME OUT (2017); RUNNING OUT OF TIME (October, 2017, my most recent release). I have not self-published. Very nice. Can you please tell us about your series and any upcoming releases you have planned? RUNNING OUT OF TIME (October, 2017) is my most recent release. Currently I am writing book four in my mystery series – JUST IN TIME – due out September, 2018. I’m also writing Book 4 in my series, but I’ve been waylaid by writing number one in a new series. In the next few years I will publish books 4, 5, 6 in the mystery series: September, 2018; 2019; 2020. Since my contract with Kensington Publishing specifies dates when the books are due, my contract will help me reach my goals to meet the deadlines! I’m sure that’s helpful but also a bit stressful, I would imagine. I am hoping to attract anyone who likes a good mystery, especially a cozy mystery – small town life, a strong female sleuth, a healthy dose of humor. My books also feature a community theater and a restaurant – food and plays! How interesting, great subjects for a cozy mystery series. I suppose first of all don’t give up…persist! But also find a great editor who can help you develop the book and give you some submission advice. Finally, search out readers you trust who can offer you an initial, objective assessment of your book. I struggled to define my genre. I was straddling two genres before a very savvy and insightful editor set me on the right path: how to write in the mystery genre. 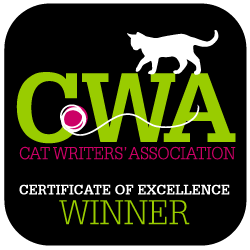 I also was challenged – like many writers – by facing rejection until the stars aligned and I was blessed with an editor and then a publisher. I also had problems with genre. I believed the first book of my series was a romantic suspense novel, but reviewers considered it a cozy mystery, so I took their opinions to heart and went on to create my Cobble Cove cozy mystery series. I have a novella and stories in other genres but they still feature cozy-like themes and characters. Since I also write plays, I take writing classes in that genre that keep me working on a defined schedule. I belong to a book club, a group of very perceptive readers; I’ve discovered that reading broadly is one of the best things I can do as a writer. I imagine that all of the fiction I read pours words and ideas and structures into my brain! Reading nurtures the writing. As an avid reader and librarian as well as an author, I agree with that completely. When I am not writing, I teach in an acting studio for a small group of performers. I am a celebrant and very much enjoy presiding over weddings in my area. I travel when I can; it’s a great way to absorb material! Yes, travel allows you many great experiences from which to draw for writing. I enjoy the creative, freewheeling fun of first drafts. Letting my imagination go wild! The discipline of revision through multiple drafts is more challenging. Some days I struggle with distractions…email, Facebook…I have to turn technology off! Some days I sit in front of my computer for an hour or so before I can sink into the writing. I, too, enjoy the creative aspects of putting my ideas on paper and also find revisions more challenging. However, promoting and marketing are my toughest challenges. Even more so is finding the time to do everything. In writing the Dodie O’Dell mystery series, I have fun creating the world of a small town – Etonville, NJ – and visiting the same cast of characters with each book. In each book the Etonville Little Theatre is rehearsing a different play so I get to play with each production! That must be a lot of fun for you. I also like creating the quirky characters of Cobble Cove and seeing them develop from book to book. The temperature was dropping and the wind was picking up. I flipped up the hood of my jacket and stared down the street. It wasn’t late—not even eight o’clock—but the darkness felt as if it was well into the night. I began to retrace my steps up the street. A few yards into the alley I noticed shadows to the right of me. The backyards of houses that faced the street where Sally and I had sat in her car and talked. A few bare trees with snow-laden branches dipped to and fro like dancing skeletons. I hadn’t noticed how eerie this back lane was earlier. I was too busy trying to keep up with Sally. But now, a spooky sensation creeped me out. The only sound, at first, was the scraping of my boots on the slushy gravel, stones and chunks of ice rubbing against each other. Then I could swear I heard an echo of my footsteps. I turned backward and saw nothing; never mind, I told myself, and broke into a light jog. My hairs began to twitch and my heart pounded. Every step I took seemed to be answered with another one, a fraction of a second behind mine. I turned the key in the ignition and the engine sputtered as it had done on many occasions in the last few days. But this time as I cranked the motor, it wouldn’t turn over. I pumped the gas pedal and tried again. The Hyundai stubbornly refused to start. My dread returned. I didn’t feel safe in a deadbeat car on a street that was deserted in a town I wasn’t too familiar with. If I had to call for help how was I going to explain my presence here? Meaning, what would I tell Bill if I got caught texting and meeting with Sally? Not to mention how mortified I’d feel with my face in this state. I switched the ignition key to Off. The evening had been a bust and all I had to show for it were a scraped cheek and a split lip that was swelling slightly. I rested my stinging face on the steering wheel and my great aunt Maureen’s words came to mind: Dorothy, you must accept that some days you are the pigeon and some days you are the statue. Right now I swore I could hear wings flapping. Excellent. I enjoyed that very much. Lots of action and character development. 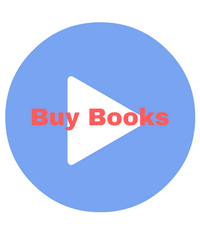 Periodically, I run contests on Facebook and Goodreads. Please check them out and enter! Recently, I asked readers for their favorite recipes and received some really delicious and interesting dishes that will be featured in book four: JUST IN TIME. I also run contests during Facebook events, and I recently sponsored an Amazon giveaway. I also have a Facebook Chat group and newsletter where I feature a contest each month. One of my contests was also for a recipe that was included in my second book. You can contact me through Facebook or my website. I’d love to hear from you! Thank you. It was nice speaking with you, and best wishes on your series and blog tour. I am including your blog tour page and rafflecopter giveaway link below.